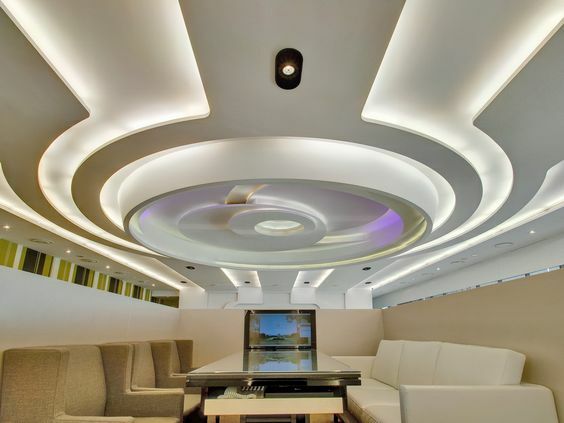 If you remodel a living room, bedroom kitchen or bathroom or turn a basement into a new living space, the gypsum board design ideas for false ceilings is a good solution with real benefits. 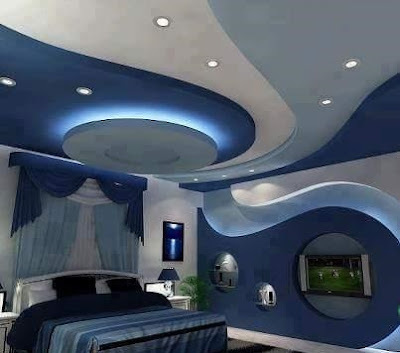 The often neglected space above your head then gains a lot of added value thanks to a beautiful false ceiling design. 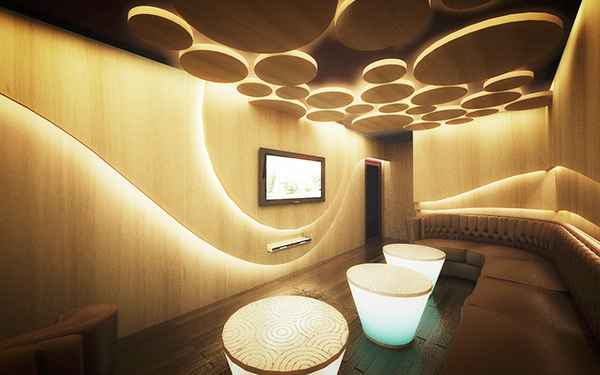 Indeed, the fall ceiling design offers many varieties of styles, textures, and colors. 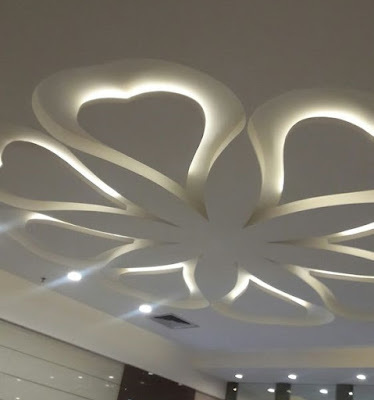 It is possible to install your own gypsum board ceiling design without the help of a professional, which reduces costs when you want to refresh your home. In addition, opt for a false ceiling of gypsum board allows easy access to the system of the house. Indeed, ducts, plumbing, wiring, TV, network, and other mechanical systems can be easily hidden, while remaining accessible for possible repairs. But most importantly, the gypsum board ceiling designs are resistant to moisture, sagging, and fire. they are also resistant to mold and bacteria. They can be used in areas where high humidity is present, such as the bathroom. In addition, fall ceilings are flame retardant and meet industry standards for flame spread. 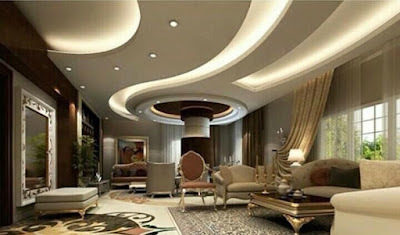 With these tips, you will understand better the operation and use of gypsum board ceiling designs, so you can make the most of them and get unique and spectacular finishes in your projects. 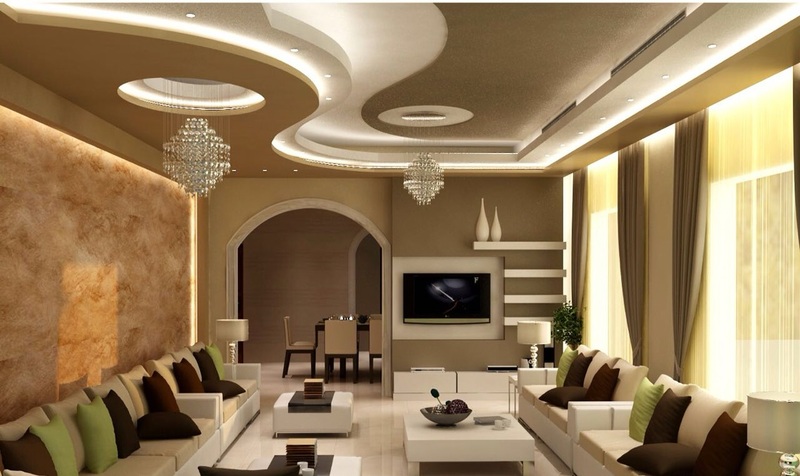 If you want to have a house with beautiful details on the ceiling the best thing you can do is install a drywall ceiling design, or rather a false ceiling. It is a very economical way to give life to your spaces, the best way to do it in counting with quality materials that allow you to achieve what you want so much: A false ceiling design for living room with soft and aesthetic lines. Many times we think it is necessary to knock down the ceilings to install that special lamp, however that will not be necessary because, with the gypsum board ceiling, you will simply enjoy a sub-level in your conventional ceiling with good supports. When installing gypsum board designs for ceiling we have to consider several aspects, such as: Combining different materials such as galvanized steel profiles where the sheets will hang on the ceiling, special for the internal structures. Also, there is fiber cement that is used in external areas. Do not forget that you will need drills, bricks and other tools to fix the sheets. If you want it to look like film mastic when the gypsum board designs dry you can place several layers of paint. One of the advantages it has is that it dries very fast. 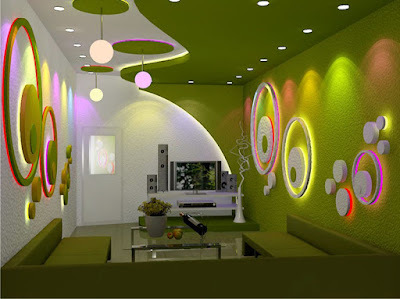 Colors are installed that give life to the rooms. Generally, when we install gypsum board false ceiling design, clear lights are used, in some spaces they use blue or yellow to create an effect of amplitude and at the same time of visual aesthetics that attracts all eyes towards the false ceiling of the living room, something that sometimes does not happen. You can place them in the living room or dining room and even in the bedrooms. In this way, the area is enlarged without spending a lot of money on the investment, on the other hand, it is very easy and quick to install. 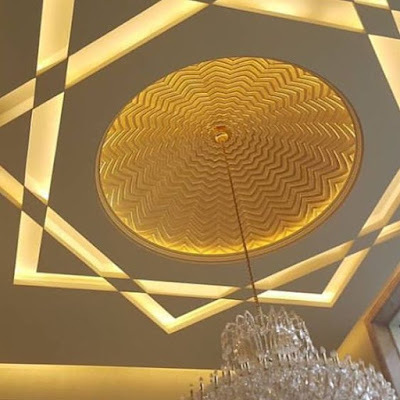 One of the best ways to have a gypsum board ceiling design at home is to place it on the sides so that they make symmetry and create a kind of game between them. When installing fall ceiling designs, very harmonious and interesting effects are created, you can use them in all kinds of remodeling projects. 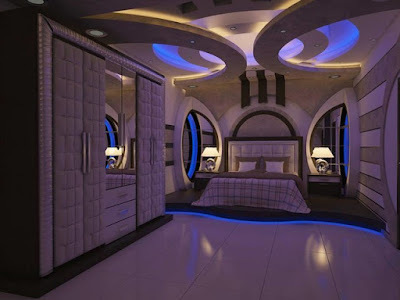 This is a very original and classic way of giving the rooms of the girls a more delicate touch, it is not necessary to remodel everything, rather it is based on practicality and is based on the positive effect of the lights. You can place more daring plasterboard designs if you wish, it's a matter of taste. 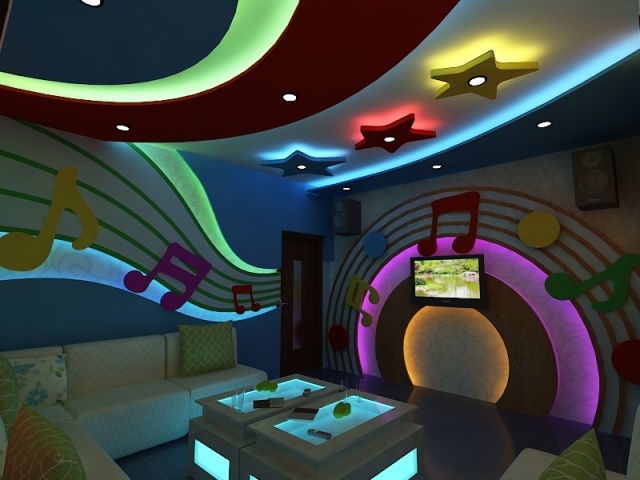 The best thing about drywall is that it is very flexible, for this reason, you can make figures of any design that you can think of. Here the style is the key, the idea is that you adopt the gypsum board design to what suits you, dimensions and designs. You have total freedom to do what you want, but everything with balance and harmony, no scribbling on the ceiling. Preferably contact a professional who can advise you. 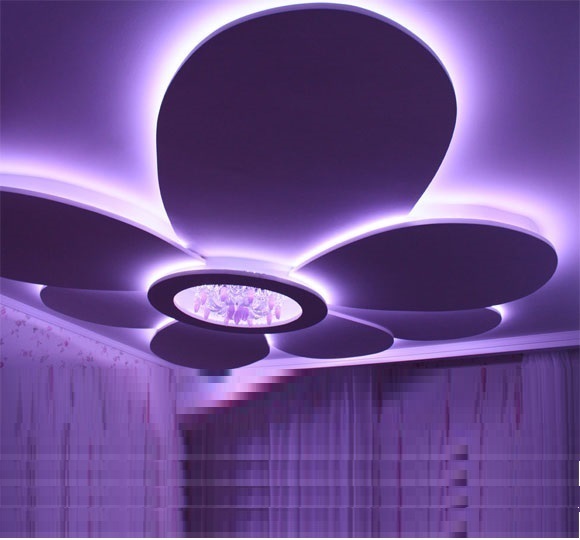 You can guide yourself with these gypsum board ceiling design ideas, look how beautiful this LED indirect lighting for false ceiling looks. 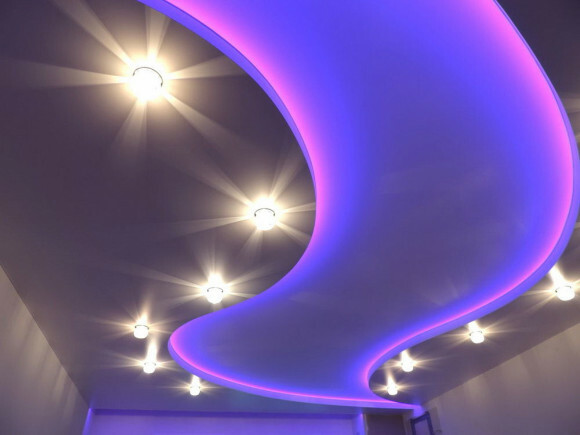 If you want to know new lighting techniques, we suggest you read: Amazing LED indirect ceiling lighting. 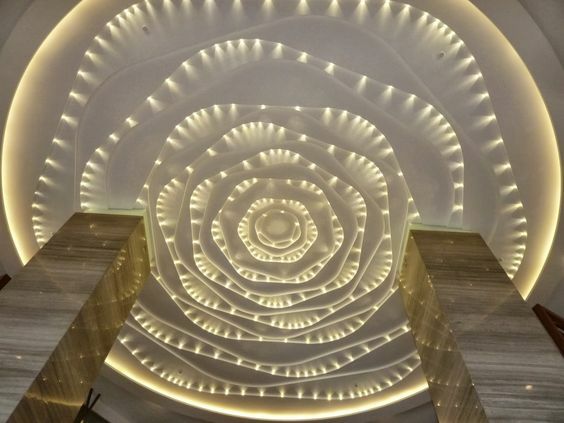 For those who want to install a false ceiling design of gypsum board at home, you must know the advantages: It is a very noble material because it does not contribute to combustion. Also, it works as a barrier against fire and decreases its spread, since it is not flammable. It provides both thermal and acoustic insulation so you can place them in the bedrooms to rest properly. Likewise, it does not change its shape, nor does it expand or be damaged by changes in humidity and temperature. 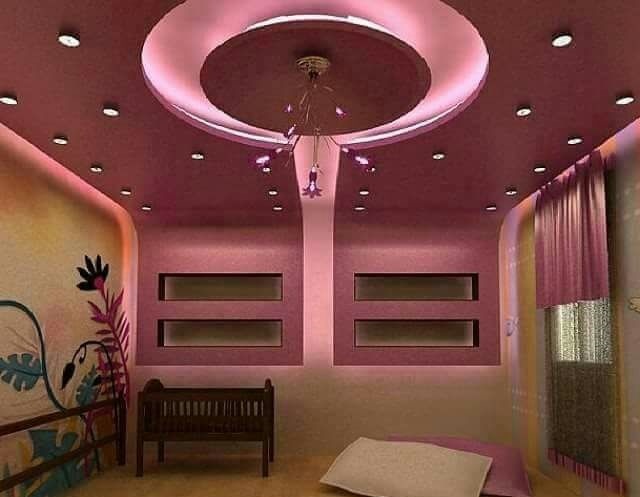 Another positive aspect is that the structure of the base does not rust, so we suggest you buy gypsum board design for false ceilings. 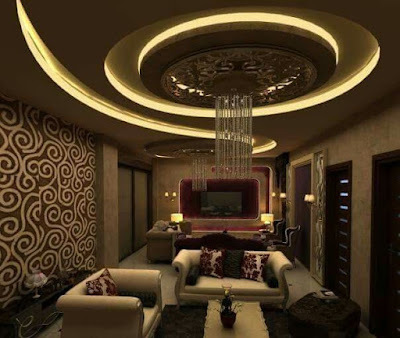 Before planning any design, you must take into account the height of the room where the gypsum board false ceiling design will be incorporated. You need a different distance between the slab between the floor and the ceiling. 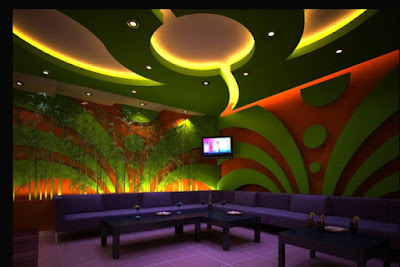 If you use it to hide ducts and cables, the height will be higher to allow these pipes to pass, but if it is only decorative, the fall ceiling design can be anchored as close as possible to the roof slab. 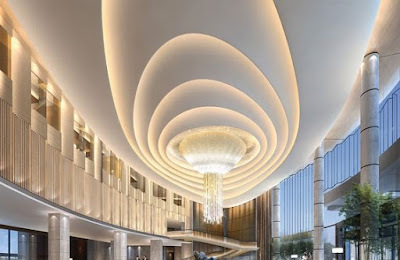 The minimum height between the gypsum board ceiling design and the floor of the room must be 2.40 min order not to generate a suffocated and enclosed environment. 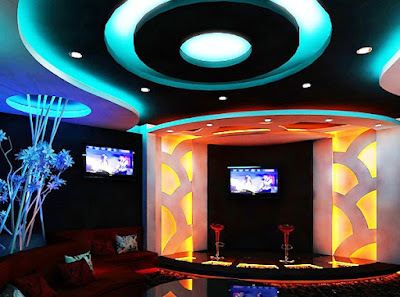 If you are lucky enough to have a larger mezzanine, you can install a gypsum board false ceiling with several levels without worrying about the height of the living room. If your gypsum board false ceiling design for a living will serve to hide pipes, ducts, and others, you must design and install a structure that will support these elements. Depending on the type of pipe or duct, this can be fixed directly to the roof slab or supported by metal structures. 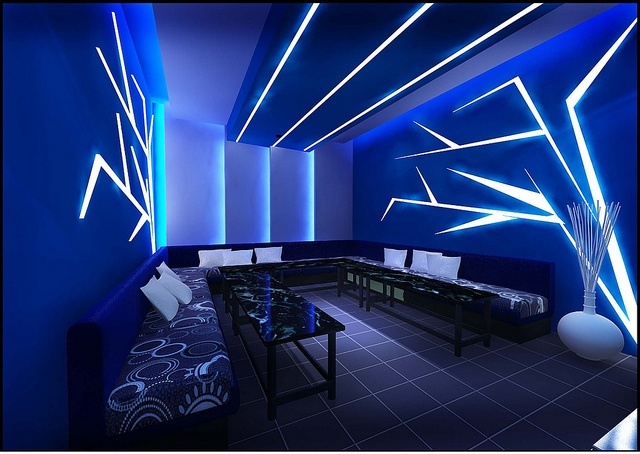 After defining the way in which they will be fixed, either to the ceiling or to a separate structure, the installation of the structure for the ceiling panels will be carried out, which can be independent or fixed directly to the structure of the ducts. - Prepare the surface: Make sure that the roof slab is in good condition and does not show moisture so as not to damage the roof and remember to frame and leave the perimeter walls painted since they will be visible even if the roof covers a part. - Trace the perimeter of the roof: Now we will begin to mark the heights on the walls, use a cord with nails to make sure that these lines are as straight as possible. Fix the perimeter rails on the wall, drilling every 60 cm to introduce the screws that will anchor it to the wall. - Install the longitudinal profiles: According to the measurements of the room, the longitudinal profiles will be cut and installed, supporting them on the perimeter profiles and fixing them on the roof slab at equitable distances. After having the base profiles installed, we proceed to place the secondary profiles, which are cut to size depending on the design and size of the gypsum board ceiling panels that we will use and are supported and fixed to the main rails. Once this structural grid is installed, we will place the panels, which can vary their composition and size depending on the use and design we make, from plaster to wood, with endless options for covering the structure, adapting the false ceiling to what better complement the space. These sheets are placed in the ceiling structure through the openings, allowing them to descend parallel to the floor until they fit with the main and secondary rails. 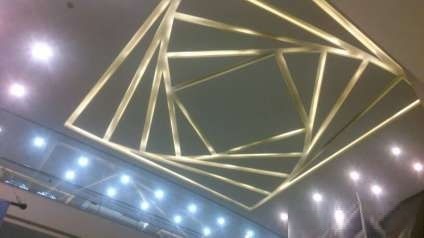 Another very important point is the design of the wiring that will be hidden in our gypsum board false ceiling. There are multiple ways to hide the wiring that is located on the ceiling, from pipes to grids, the important thing is to always keep them fixed in one place and keep them away from the panels in case they can heat up and deteriorate them. The circuit of cables must have a direct connection with the light switches to be able to turn them off and turn them on a whim. 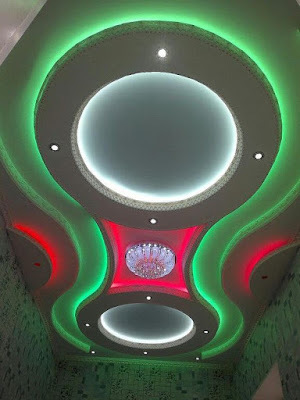 A point in favor of the gypsum board ceiling design is that you can assemble and disassemble the panels to move or replace the cables or bulbs of the circuit that are damaged without breaking or modifying the roof. 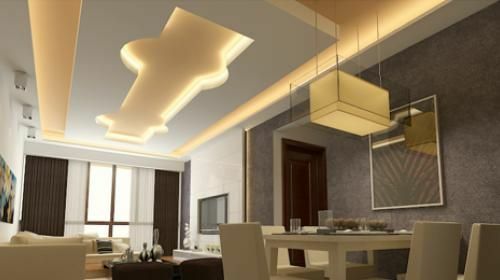 Using the gypsum board ceiling to highlight a certain area in the living room, it is not necessary to create a complete false ceiling plan, just by dropping some parts an entirely different effect is achieved ... and emphasizing these finishes with ceiling lights makes it even more dramatic. 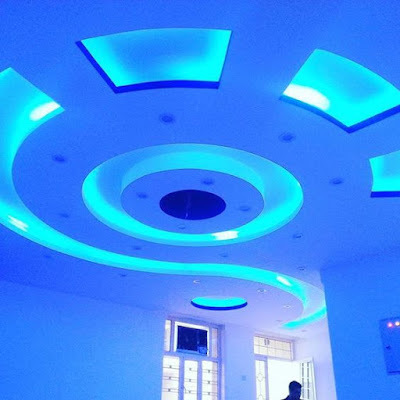 false ceiling lighting ideas have no limits, you can use everything from portholes to LED indirect lighting, depending on the type of setting you to want to give to space. 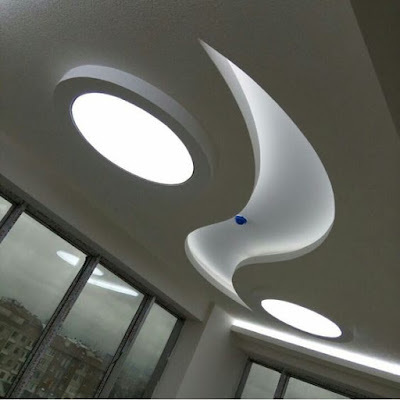 Since you know better how these gypsum board false ceilings work, we invite you to include them in your projects and designs, do not forget the fundamental tips for a good installation and above all, a lot of creativity!